Sharp Import brings a collection of historical combat knives. A folding knuckle knife was first devised during the First World War for close quarter combats and advancing on the enemy's territory. 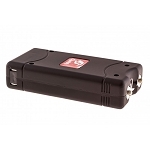 It is an effective weapon that provides extraordinary strength, and the biggest plus is its folding mechanism that makes it easy to carry. 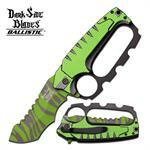 So, is there any better self defense weapon that a knuckle duster folding knife? 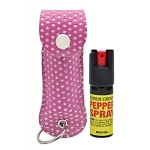 Get this effective, iconic, and historical weapon to protect yourself against the attackers. 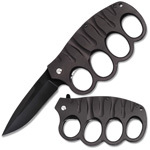 We stock the largest quantity of Brass Knuckle Folding Knives to make sure you have a large selection to choose from. 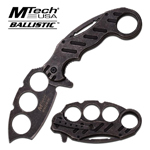 Our dazzling compilation of folding knuckle knives incorporates Dark Side Blades knuckle knife, Mtech assisted knuckle knife, Black knuckle guard defense knife, and WWI 1918 Trench Knuckle knife. 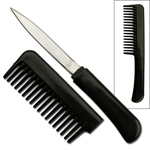 So, we have a vast array of knives ranging from the traditional to the modern ones. 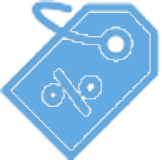 Explore our collection to search the one you have been searching for. Buy the best knuckle knife at amazingly lessened prices. We at Sharp Import stock the top notch brass knuckle folding knives. However, our prices are too low for them. 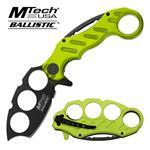 If you are interested in buying a folding knuckle knife from us, we bring some joy for you. Our prices are 90% less than the retail prices of these knives. Therefore, you are able to purchase your favorite folding knuckle knife from the best wholesaler at such reduced price. So, no need to wait anymore, get to our collection of brass knuckle folding knives, and buy buy anyone to avail the lowest prices.